The BIGGEST Power Clean Mistake! The BIGGEST Power Clean Mistake! The BIGGEST Power Clean Mistake! Trying to teach what we are REALLY trying to accomplish with DVRT can be tough! That is mostly because no matter what, we have to start with a solid foundation. As I said on a recent podcast interview, “good movement is good movement.” I know that doesn’t sound profound, but what I am referring to when we start with an exercise, the foundations of the movement don’t change with the tool. A great example is our Ultimate Sandbag power clean! I love our Ultimate Sandbag power clean to help people to build real world power over many other tools (including the barbell) because of the following…. -Due to the leverage the dimension makes us pull with our hips for much longer and develop greater power. -It is easier to teach because creating tension on the handles and the position of the handles allows us to develop a stronger brace of the core and more power in the hips and not the low back! 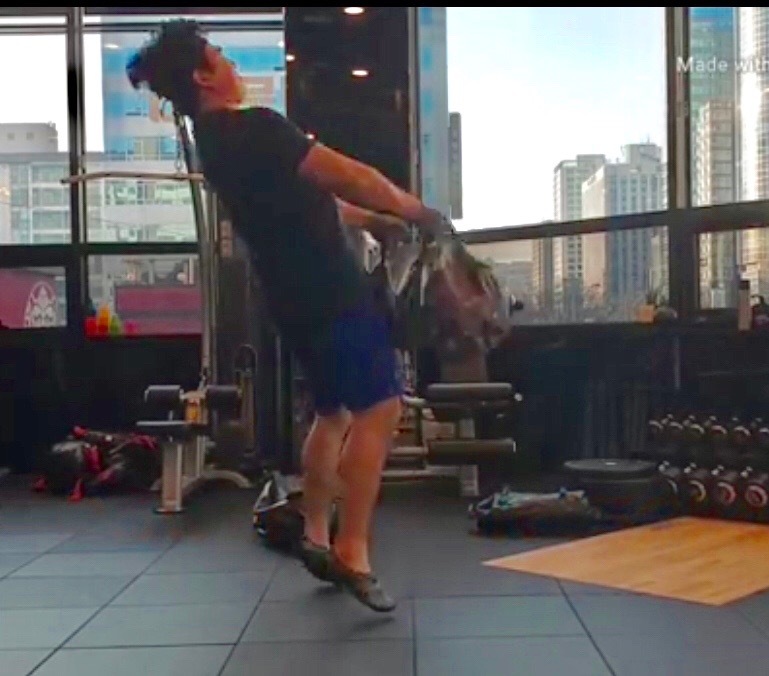 -We have so many variations of the power clean that allows us to train power in so many more ways that just in the predictable nature of JUST going up and down. -The Ultimate Sandbag power clean allows us to train deceleration as well as acceleration. As renown strength coach, Robert Dos Remedios, points out, most injuries come from stopping not starting. To get to the really “cool” parts of the Ultimate Sandbag power clean we have to develop that great foundation. It doesn’t matter if you are going to power clean and barbell, a kettlebell, or an Ultimate Sandbag, that foundational position looks the same. However, there are some unique differences in the action of our body and the load that we have to consider. Believe it or not, teaching people to catch the Ultimate Sandbag properly in the power clean is actually not that difficult and compared many times to a barbell or even times, a kettlebell, it is so much easier that we get to spend more time training than teaching. That is pretty huge since the reason we use these exercises is to get the benefits, not become professionals at the power clean with clients. However, where people go badly wrong with the Ultimate Sandbag power clean is in one of the aspects that makes it unique and incredibly powerful, it is that deceleration phase. Many times people get so excited and happy they power clean the weight up that they think the exercise is over. It is important to understand that in DVRT the catch of the Ultimate Sandbag is ONLY the half way point! The Ultimate Sandbag power clean isn’t over till the weight is back to the start! This is really done to attain more benefits from this power clean as well as a safety issue. We discussed that learning to decelerate the weight helps with injury prevention by learning how to stop. This technique also helps with injury prevention by taking stress off the elbows, shoulders, and even the neck. Catching the Ultimate Sandbag with the hips allows us to dissipate the force through the large muscles of the body. Sadly, most catch with the arms down by the hips and cause a HUGE shock to the elbows, shoulders, and this can run up into the neck. This all too common issue causes people to not gain all the benefits that the Ultimate Sandbag power clean can offer as well as eventually causes people not to feel awesome. That is a tragedy in my mind because the WHOLE point of DVRT is to help you feel our best! Fortunately, DVRT Master, Steve Holiner, has created a break down of how to avoid what he calls the “lurch” of the Ultimate Sandbag power clean. Check out the video below and see how we can achieve greater results and feel better doing it with our Ultimate Sandbag power clean!